I always wanted a desi version of Stallone - muscular, determined with long flowing mane and a steely resolve. Flashes of Rambo were brilliantly evoked when transfixed to my telly, I gazed at the spirited Ram-bo-dev precariously dangling out of the DTC window with a black bandana across his forehead. Every muscle in his body had a purpose, every gesture was inspiring. When one karwachauth has me begging for water, imagine the resolve of a man who had not eaten a morsel or sipped a drop of water for the past four days in Delhi humidity? All for the sake of kaala dhan stashed away in faraway lockers. Or was it for the independence of the CBI? Or eradication of corruption? Whatever! No wonder they say it is dangerous to dance around a yogi who is sleeping on a bed of nails. If Anna’s strength was in his will, Ramdev’s resolve was in his ability to pull crowds. Look at the huge crowds the yogic Pied Piper managed to gather on a week-day despite the thundering clouds and energy sapping humidity. Who were these thousands of people swaying to the Pied Pipers yogic tunes? Why were they ready to brave lathis lest the situation went out of control? 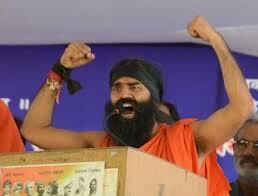 The political leaders can dismiss Ramdev at their own peril and feign ignorance. ‘Who is Ramdev?’ His detractors can call him a ‘businessman’. His adversaries can question his motives for ‘desh bachao’. Regardless, the yoga strongman has become a nemesis for tax evaders, swindlers and money launderers. For those who see him as a pawn in the BJP’s hands, should have seen it coming. See, when you play politics in a jungle with two dominant tigers, and when one tiger is ready to pounce on you with ED notices or CBI raids you are bound to jump in the protective arms of the opponent. And with the crowd support Ramdev had, the opponent tiger was more than willing to embrace him with open paws. As it happened, the entire piggyback brigade jumped on Baba’s bandwagon. Win-win. Wonder why the stage was used by Sharad Yadav ji to bash Chidambaram’s penchant for using the colonial language? Don’t we all admire Baba’s felicity for Angrezi when he speaks to Arnab on ‘Times Now’ or when he addresses his followers on his gifted island abroad? And who can deny that when Baba wielded a shining sword on stage, it appeared as if all desh drohis will be vanquished in one fell coup. 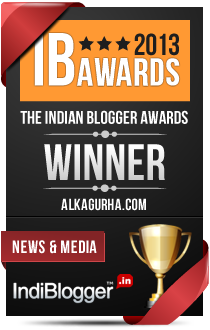 This August, Delhi was in the iron grip of Baba's fist. Those who wanted to visit G B Pant Hospital could wait while Baba was flexing his muscles atop a DTC bus. Being Ramdev’s most ardent fan, watching him sway in political abandon was a feat for eyes looking to fill the vacuum created by political parties. It is so reassuring to know that now Ramdev is going to tell me who I should vote for.Honestly, with elections looming on the horizon I was really confused. We are a nation of iconoclasts. We wait for a messiah to arrive and guide us through all our problems. If political leaders fail to instill confidence, the political space will be filled by more such social crusaders. I only hope such crusaders have nations best interests at heart. For me, during those five days of Ramdev’s agitation, vengeance was the popular Rambo-esque emotion which played on my telly. But there was a twist. It was not filmy, it was political. And this was only a glimpse of 'First Blood Part I'. The second part hits theaters in 2014. Mane is fine but baba needs to join a gym if he wants Rambo-esque muscles. OH yes it is all politcal, As anna ji and his team have shown.. Baba is also probably going that way .. soon I think he will be with BJP .. and the other politicians have taken the oppurtunity to make sure people see them on the stage for come elections , these pictures will be used for propaganda ..
What is funny is why is the BABA not saying anything about his wealth that he accumulates on foreign shores .. He had to take sides to save his skin..today only there is raid on his ashram...could be victimization but when you play with fire hands so get charred. To me that matters most is the fact that he has been able to bring subject of corruption centre stage.These issues have been worrying the common man,but,it was only Anna and Baba who were able to make headlines . We want heroes who will protect us from all evils. I only hope he is not misleading the gullible junta. I appreciate his work in the field of yoga, but politics I am not sure. Yep, thats the silver lining. Personally I have no issues with the Baba joining politics himself. And I don't care about which political party he fights or supports. But though it is fine to create awareness about issues of corruption and black money, it is certainly not fine to hold public life to ransom. As if our VVIP politicians weren't enough to force critically ill patients to die in the ambulances which were stopped in order to let the VVIP cavalcades pass, the Baba and his devotees jammed the road right across G. B. Pant Hospital, not caring about those who needed to reach the emergency. I was in Delhi on that day and witnessed this myself. Then he shifted his focus to abandoning of modern (western) medicine as it wasn't Indian in origin. But strangely, when he got dehydrated after his agitation in 2011, he was admitted to an ICU and administered intravenous supplements. Strange ! While in between giving statements like "jeans are not a part of Indian culture" after the Guwahati incident, he has now shifted his focus on corruption and black-money. Even if we ignore/dismiss his attempts at publicity and commend his attempts to create awareness towards real issues, he has no right to paralyse public life by blocking roads and creating nuisance with his supporters. I personally prefer a Salman Khan as the Indian version of Rambo, specially because I can turn the television off when he is on air. With Ram-bo-dev, I don't have such an option but to tolerate him and his followers who hijack public life. Yes, he has been shifting goal posts and hence the lack of trust. My hunch is that he needs to extricate himself from a slew of cases he has been slapped with. The only option was to go to the BJP. As a quid pro quo, Babab pledged his mass support. 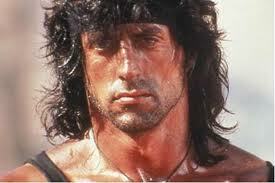 Agree, Salman would make for an ideal Rambo. One thing we can learn from Baba Ram Dev, apart from yoga, is his organising skills. He has organised people in every district. Not even the largest MNC with a huge sales force can mobilise such crowds. Phenomenal. Yes, he has successfully filled the political space. A sad reflection on the political parties. Loved your presentation of Ram-bo-dev! And just like you, I have also almost always marveled at the liquid-less days these crusaders claim to have passed. Much as the Indians hate to be projected as jugglers and snake charmers, Baba is hell bent on immortalising that image to the world at large. He claims homosexuality can be cured with his specific yogasanas.And if my memory serves me right, he has a cure for some incurable diseases too. Yes, he made his message clear and presence felt much to embarrassment of pouncing tiger. After getting embroiled in several cases, it was an expected step. Govt bows only to votes...if he can assure that a deal is possible. You’re right to point out the absurdity of yogis playing politics. But Alka, the wiki link to “Sharadji” didn’t make sense to me. If you meant Sharad Pawar shared the yoga guru’s stage, it somehow makes things murkier. Hope and pray team Anna do manage to deftly, smartly and vocally avoid the murkiness. As yet, I believe they are our only hope for clean politics. Can’t wait for the launch of their new party on Oct 2! What one of your commentators, Shobhit, says seems to make a lot of sense too. It was Sharad Yadav...he lectured on everything from sport to languages from babas stage. I am a little wary of sadhus anyway. Yoga is good but politics is another ball game. The whole thing makes me squirm! Yes, I only hope some good comes out of it. One more populist guru who is clueless about the polity of the country. Even before he can begin something, that is, if he IS going to be able to do anything, he will be confined by the pouncing tiger making him run for cover, for he has much to cover up too. Jai Hind! I am just hoping, he is doing this with nations best interest at heart and not for personal gains. Ram-bo-dev. Loved the rendition. He has not only shifted goal posts but also held Delhi stalled for many hours. What kind of agitation he was leading is beyond my imagination. As one commentator Shobit tells me that many patients from GB Pant hospital suffered that fateful day. Rambodev pun was deadlier than Baba's wink. It's interesting to note the style statements he makes every time he enthralls the nation with Ram-lila. From Baby Ramdev to Rambo-dev, he has indeed come a long way. If he manages to hold on to his crowd support, he will go a long way. By doing what he has, he has ensured pieces of the black money pies to garnish his plate! Loved the title. Isn't this guy happy with what he earned in his profession? Now, he wants to join politics too, just to add more zeroes to his money...sigh!! Thanks. The fact that he brought the issue on the forefront is creditable, but I only hope he has no vested interests..Time will tell. I want to show my support to the Baba. What do you recommend - should I learn how to do a headstand or will growing a foot long beard be better? Can you churn your stomach the way he does? Or wink? Also you need to have knowledge on all subjects - economics, health, governance, foreign policy and homo-sexuality...the entire winki-pedia. Good one Alka .... nice to know that you are following Ramdev and his fight against corruption !! Yayy...Varun, I am so glad you read this post. Even if it is crappy, nothing like friends reading your blog. Are you in the US or back in Gurgaon? I think ours is the only country where we can see anybody become a politician, it can be anyone from a sports person to a filmstar and now a yoga teacher! I wonder if any of these people know how to run the country! Ha, ha...It is only here that we witness such filmy-political jamborees. interesting read. outwardly, true that baba seems to have all the ramboesque qualities in him. but with just one fatal error, he's a rebel without a (substantial) cause. i think due to think he'll turn out to be 'bhasmasur' for any party, or for that matter the nation itself, who chooses to support him. the case is clear in case of Anna Hazare himself who got his hands burnt while handling Ramdev. Crowd is a blind beast anyways. The cause is personal Mohit. He needs to wriggle out of the financial mess he is in...He is facing a vindictive govt and BJP is helping him in lieu of votes. I don't think anything is wrong in taking Political side if Ramadev Baba is taking any side. Even you would have your favorite politician/ favorite person / favorite party according to your choices. BJP could be his personal choice. And all this tax evasion n all is just because of Anti-Congress stand.. You will proudly say that Ramadevji is not speaking word about it. Probably you missed it or courtesy to Media not to bring it to front, "There was tax concession as he was producing Ayurvedic Medicines, but this year Government stopped it (you know why :P). And income tax department is asking for 6 years arrears. And this is the tax amount of 6 years Ramadevji to pay". If BJP is supporting it for votes then what's wrong in it? If RSS is supporting it then what's wrong in it? At least his point is noteworthy, unlike Congress who is using Tax Department/ CBI as tools to tell people that 'Nobody should say anything against Congress!!'. I am not Ramadev's supporter at all, but I think he is doing something which is good for this country, if for politics/ for fame .. doesn't matter unless he it's good for my country. There is nothing wrong in any of the issues which you have mentioned. That is exactly what I have said.The man has guts to raise issues which are close to his heart. How many of us can stand up to a vindictive govt? I only hope that baba has nations best interests at heart and not personal interests. Though there is nothing wrong in having personal interests but then he should not use the gullible junta for his personal advantage. Really well said, Alka. Looks like you are a great fan of baba. Poor Rambo...I don't understand the baba or the Anna...but then again Politics is beyond me all together-I see it all as self publicity gimmicks than anything else!